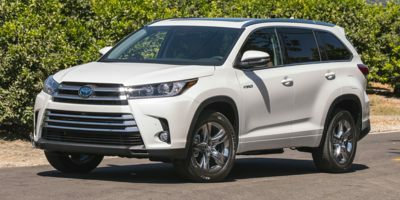 Buying a 2018 Toyota Highlander, and saving $1750 off of MSRP. 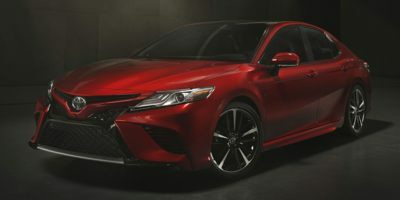 ToyotaTown is the authorized Car Cost Canada Superstore and as such is VERY SERIOUS about providing Car Cost Canada members with a significant discount. Buying a 2009 Toyota Highlander, and saving $6000 off of MSRP. Since toyotatown is a vendor linked with the car cost canada website they were well aware that I had the relevant information to correctly cost the car. Therefore there were no negotiations around getting the MSRP down to the negotiated price. They push the leasing option very hard, but in my opinion, "buying" brings the best value. Buying a 2018 Toyota 4Runner, and saving $3250 off of MSRP. 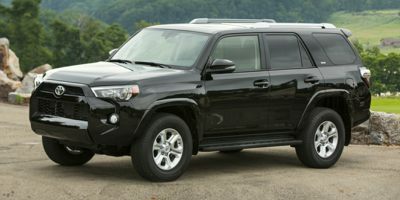 Buying a 2008 Toyota 4Runner, and saving $2000 off of MSRP. To know the invoice price and how much one should be paying above the invoice price (3%) really help to decide how much we should be paying for a car. I went to the dealer recommended by Carcost Canada. They provided me with a quote of invoice price. Buying a 2012 Toyota RAV4, and saving $2500 off of MSRP. Gave them a copy of my CarCost report and offered them 2% above the wholesale price. I offered dealer cost + 500$, they came back with dealer cost + 800$ and all accessories at cost. I got a lot of accessories including trailer hitch, tinted windows, 3M hood protector, winter mats and trunk liner at cost. ToyotaTown is a great dealership, even though it's 4 hours from my house!!! We didn't nail down the price of the vehicle before we introduced the trade. We understood how the trade was given what we want, but without the trade we would have gotten the vehicle for $500 over Dealer Cost. Went with the Car Cost Canada recommended dealer. I could not be happier. Spoke with Tim initially over the phone then went to London the next day and closed the deal. Chose a 2010 Rav 4 instead of a 2009. Same deal. Much more enjoyable than the normal dance with car dealers. It made negotiating a whole lot easier. They started right off with the dealer price as opposed to the retail price. This generally made life much easier. The local Guelph dealer was not willing to negotiate under the retail price and tried to direct us to a a "dealer used" vehicle and despite 13,000 Km they were only willing to lower the cost by $1300. I found out about Carcost Canada and the Carcost Canada Toyota rep contacted us right away and they started fair negotiations. Toyotatown started with 4% then reduced it to 3.5% over dealer cost. They will also give you better prices on the optional upgrades. I always ask for a touch up applicator when I leave and they were happy to oblige. Toyotatown also gave us some car wash shampoo so don't leave until you can get the little extras - ask. Buying a 2009 Toyota RAV4, and saving $3000 off of MSRP. Leasing a 2008 Toyota RAV4, and saving $1000 off of MSRP. I leased a Rav4 from ToyotaTown in London, ON; one of your preferred dealers. I dealt with Tracey McVittie who is marvelous to do business with. Tracey knew I had a CarCostCanada invoice with me. The deal took 20 pleasant minutes and I saved $20/mo over 48 months, amounting to $960.00.I refused to visit with the Business Manager.I was very comfortable with my sales lady. Toyota Canada has a tremendous client friendly website. I like the fact that all PDI, freight and taxes can be calculated giving a true number, no surprises. Your invoice confirmed those costs as well. Negotiate a trade in price for your vehicle before you agree on a purchase price. 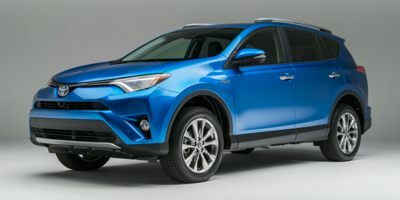 Buying a 2017 Toyota RAV4 Hybrid, and saving $2000 off of MSRP. This was probably the easiest time I've ever had in purchasing a vehicle. I can easily recommend this dealership to anyone desiring to buy a Toyota. 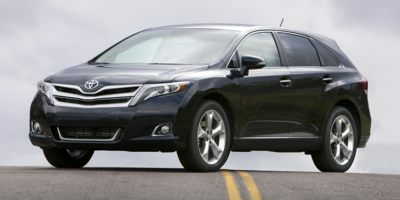 Buying a 2012 Toyota Venza, and saving $7000 off of MSRP. Sent out request for quote from several dealers and had them compete with each other for the business. The price kept dropping until the final price was less than $200 over wholesale, dealer cost. The request for quote asked participating dealers to quote all fees and taxes inclusive; ''drive off the lot pricing''. The wholesale pricing was used to determine the amount of discount from MSRP and how to win at the game of price negotiations. The difference between the winning price and second best was less than 10 dollars. Leasing a 2010 Toyota Venza, and saving $4000 off of MSRP. I found the CarCost Canada report very helpful. It brought the price right down without any major negotiating. It took the stress out of buying the car and worrying whether or not I got a good deal. I pick up my new Toytota Venza next week. My sales rep, Tim, was very helpful and courteous. I would recommend him to my friends. The whole experience was stress free and fun, compared to the pulling teeth of the traditional negotiating. Toyotatown is a large well organized, clean dealership. Great service department! I used the WPR in my negotiations and they accepted 4% above wholesale in June 2008 for the 2009 Corolla LE. We were very pleased. The salesman was very helpful in processing through the car buying process. 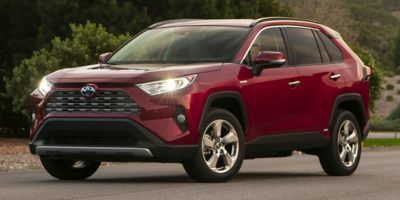 I chose Toyota because my experience with Toyotatown was far above the response I was receiving from the two Honda dealers in my city, and negotiated the best bottom dollar on the vehicle. The dealer took seriously my copy that I brought with me from CarCostCanada with the retail and wholesale price of the vehicle I was interested in purchasing. 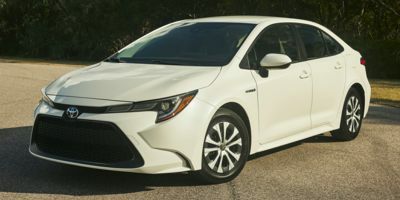 The total savings was $850.00, which I was very pleased with; along with the fact Toyotatown considered my business important, unlike the two Honda dealers. Thank you for the relevant information. Buying a 2008 Toyota Corolla, and saving $500 off of MSRP. Just having some idea of the price range was very helpful in negotiating a deal. We ended up buying a 2009 Toyota Corolla and we had the Car cost value of a 2008 Corolla. This gave me a lot more confidence and it didn't take very long at all to make the deal. After you have decided what type/model of the car/truck you want ,then call him up by asking; what is the margin of profit/percentage ( on top of the whole sale price)of the car that you want to buy. Then mention what is the total cost of the car if we were to compare to carcostCanada . The Report provided us with a sense of "pricing knowledge", to make the negotiation more balanced. Having some idea of the prices of the car helped us feel more comfortable. I Did not like the sales person running to the boss with the offers, I have always dealt with a small dealership before where you just needed to talk to one person. I chose the dealer CarCost recommended. I don't know the savings as we purchased a 2008 instead of a 2007. I could not contact CarCost as my computer was down. We were satisfied with the sales rep, although not with the company. The reason was because Clarence had been to Toyotatown just looking around, and had talked to a different sales person and did not like her too much. We had not intended to go there again. However, because he had been there the sales manager gave the sale to her. We have written to the company about this. Buying a 2009 Toyota Yaris, and saving $3000 off of MSRP. This was the second dealer we went to. The first took days to respond to calls or emails so we switched to Toyotatown. Easily the best dealer we've ever used. Very friendly and helpful, outlining everything we needed to know and do for the best price. Buying a 2009 Toyota Yaris, and saving $1500 off of MSRP. Anyone should talk to Tim Felsky, he totally understands what carcost canada is all about. Plan on buying another car in the near future from them. The guys on the phone provided me information on how to negotiate and who we might be speaking with. The dealer was recommended by carcost Canada, but the contact provided turned out to be in Toronto. We dealt with Tony at the dealership and had all our information there. It was a very quick and simple negotation. I would strongly recommend anyone going to Toyota town deal with Tony -- he''s a very upfront guy and never once tried to oversell us on anything. 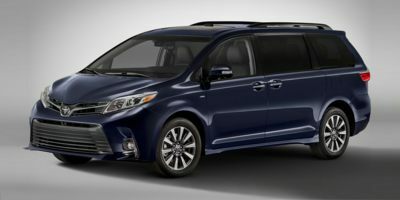 Buying a 2009 Toyota Sienna, and saving $3000 off of MSRP. I was already leasing an '05 Toyota Sienna. After looking around, we realized that we were very satisfied with that vehicle. There were safety improvements to the '08 that made our decision just that much easier. The sales rep I dealt with is the same rep who got us into our original Sienna. The Wholesale report helped to give me knowledge to understand pricing and create a strategy to negotiate with the dealer. Get a carcost and go bargain. GO from invoice up not MSRP down. Good luck. The dealer was not too happy when he saw the Wholesale Report, I got a 2009 sienna CE 8 seater for $800 over invoice (all weather mats included which are $300). Plus I got what I wanted on my trade in car. So it looks like $500 over invoice; good deal if you ask me. Tim at Toyota Town was the CCC recommended dealer. He made the whole process very easy - we settled on a price over email, which thanks to the CCC report I knew was reasonable and probably as good as I could expect. 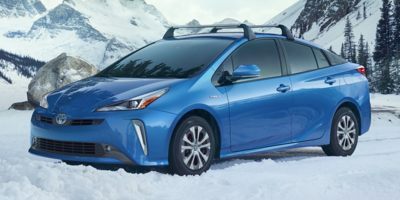 Leasing a 2010 Toyota Prius, and saving $4000 off of MSRP. I used the Wholesale Price Report as a guide as to the cost of the vehicle. I deducted an estimate of the holdback ($500) and worked out the numbers from there giving the dealer $1000 profit ... or $500 over cost. It worked and they used my figures. I was happy!! Very happy with the speed that I could obtain the figures. I drove the car in the AM, went home and worked on the figures, and then had the deal by the late afternoon. Since you have the information that the dealer has, it provides a level playing field to negotiate. You can then determine the markup percentage that is offered. When a trade-in vehicle is involved, it helps to establish a fair figure for it. 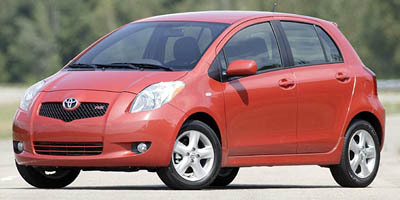 Leasing a 2010 Toyota Prius, and saving $1500 off of MSRP. I bought at just the right time... It was the end of the quarter, and the dealer (recommended by CCC) was looking to move cars, so they were more open for negotiation. Toyota was also offering 0% financing and $750 cash back on the Matrix -- yippee! I called the dealer, and they knew about the CCC report. He originally stated that they use a standard 4.5% markup over the dealer invoice price, which I thought was fair enough. (It was already better than I was offered at the dealer I went to originally). We went through the price breakdown, and he quoted a $349 admin fee, which I thought was absurd since I'm already paying the $1320 PDI and they make the car not 20km from my house! I made a counter offer that removed the admin fee, and he went back to 'check with his manager'. He called me a short time later and said he had another offer for me: they would waive the 4.5% markup but keep the $349 admin fee! In effect, he took off about $550 from the price I would have paid. It didn't take long to decide to accept that price, and the deal was done! Thanks CCC -- you made it a whole lot easier! Buying a 2008 Toyota Matrix, and saving $1000 off of MSRP. 2009 Matrix has best combination of size, fuel economy, ride, power and reliability for a small family. Nissan Versa a close second. This is a high demand vehicle. None in stock, waiting 2 weeks for next shipment. With options full list is $20,600.00. Started at 1000 off. Negotiated to 3% below list.